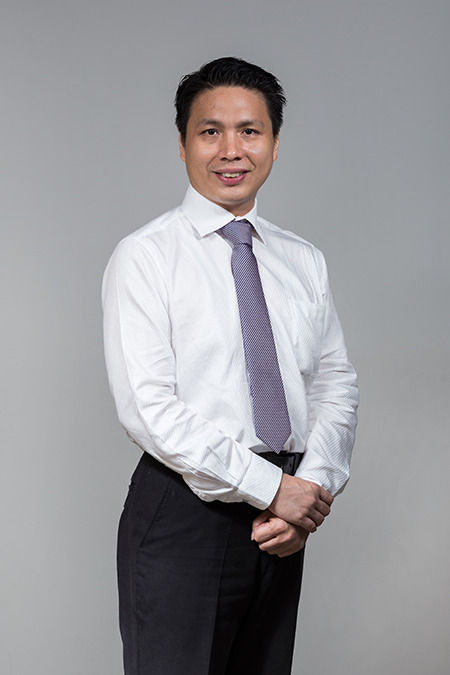 Dr. Ke-Wei Huang is an Associate Professor in the Department of Information Systems and Analytics at the National University of Singapore (NUS). Dr. Huang joined NUS in July 2007. He received his Ph.D. (2007), M.Phil. (2005), and M.Sc. (2002) degrees in Information Systems from the Stern School of Business at New York University, and his M.B.A. in Finance (1997) and B.Sc. in Electrical Engineering (1995) from National Taiwan University. Dr. Huang's research interests are in the economics of information systems and data mining for financial applications. Currently, he focuses on various topics of pricing digital goods, labor economics of IT professionals, and data mining or econometrics issues for topics in accounting or finance. “Pricing Data Services: Pricing by Minutes, by Gigs, or by Mega Bytes per Second?” by Ying-Ju Chen and Ke-Wei Huang, Information Systems Research (Accpeted and Forthcoming). “Engineer/Scientist Careers: Patents, Online Profiles, and Misclassification Bias,” by Chunmian Ge, Ke-Wei Huang, and Ivan Png, Strategic Management Journal, Vol. 37 (1), 2016 January, p.232–253. “Investigating the Determinants of Starting Salary of IT Graduates,” by Chunmian Ge, Atreyi Kankanhalli and Ke-Wei Huang, DATA BASE for Advances in Information Systems, Vol. 46 (4), 2015 November, p.9-25. “Leveraging Location-Based Services for Couponing and Infomediation” by Xiao Zou and Ke-Wei Huang, Decision Support Systems, Vol. 78 (10), 2015 October, p.93–103. “Analyzing the Scale Economies of Software-as-a-Service Software Firms: A Stochastic Frontier Approach” by Ge Chunmian and Ke-Wei Huang, IEEE Transactions on Engineering Management, Vol. 61 (4), 2014 October, p.610-622. "Hierarchical Screening for Capacity Allocation in Supply Chains: The Role of Distributors” by Ying-Ju Chen, Mingcherng Deng, and Ke-Wei Huang, Production and Operations Management, Vol. 23 (3), 2014 March, p.405-419. “Gamification in Fitness Apps: How Do Leaderboards Influence Exercise?” by Yue Wu, Atreyi Kankanhalli, and Ke-Wei Huang. ICIS 2015 December, Fort Worth, USA. “The Monetary Value of Twitter Followers: Evidence from NBA Players,” by Zhuolun Li and Ke-Wei Huang, CSWIM 2015 June, Hefei, China. “The Making of Entrepreneurs from the IT Industry: Evidences from a Quasi Experiment with a Finite Mixture Model,” by Qing Chen, Ke-Wei Huang, and Cheng Suang Heng, CSWIM 2015 June, Hefei, China, (Best Paper Nominee). “IT Investment: The Unexpected Effects on Entrepreneurial Spawning,” by Qing Chen, Ke-Wei Huang, and Cheng Suang Heng, ICIS 2014 December, Auckland, New Zealand. “The Monetary Value of Twitter Followers: Evidences from NBA Players,” by Zhuolun Li and Ke-Wei Huang, ICIS 2014 December, Auckland, New Zealand. “Mobility of Scientists and Engineers: LinkedIn vis-à-vis patent records,” by Chunmian Ge, Ke-Wei Huang, and Ivan Png, Roundtable for Engineering Entrepreneurship Research (REER) 2014 November. Atlanta, USA. “Optimal Pricing and Capacity Planning for Information Technology Service Provider under Service-Level Agreement,” by Xiao Zou and Ke-Wei Huang, ICIS 2013 December, Milan, Italy. "Misclassification Bias in Patent Measures: Estimation and Applications," by Chunmian Ge, Ke-Wei Huang, and Ivan Png, Asian Meeting of the Econometric Society AMES 2013 August, Singapore.